Amazing entrance tunnel before arriving the reception, staff is very nice, friendly and helpful; especially Ms Anja. Remember to bring along the swimming suit. Excellent location. Astonishing breakfast. ~12min walk to both the station of the train or to the sky train station. Loved the apartment, the outside decks, the breakfast in the apartment, and the spa area. A lovely place to stay! Beautifully presented, all amenities were of an excellent standard. Breakfast served in the apartment was extra special. Clean and tidy everywhere inside the apartment and the staffs are awesome. 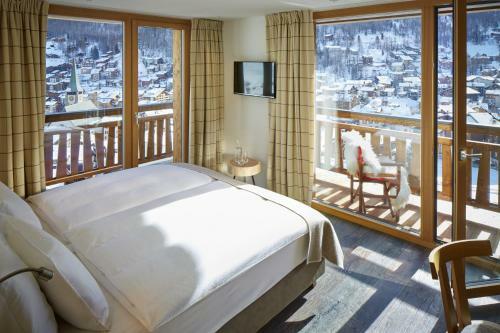 Best hotel in Zermatt, amazing view from each room in the 3 bedroom penthouse, modern furniture and amazing breakfast service. MICHELE WAS EXCEPTIONALLY ACCOMMODATING AND SENT OUR PERSONAL BELONGINGS THAT WE HAD LEFT TO OUR NEXT DESTINATION PROMPTLY. THANK HIM THOROUGHLY. THE BREAKFAST LAID OUT BY EMMA WAS SUPERB. All the amenities are provided. They provide all the bacis cooking ingredient in the kitchen too with is a plus. Breakfast is amazing !!! Lock in a great price for La Vue Luxury Living Apartments - rated 9.8 by recent guests. 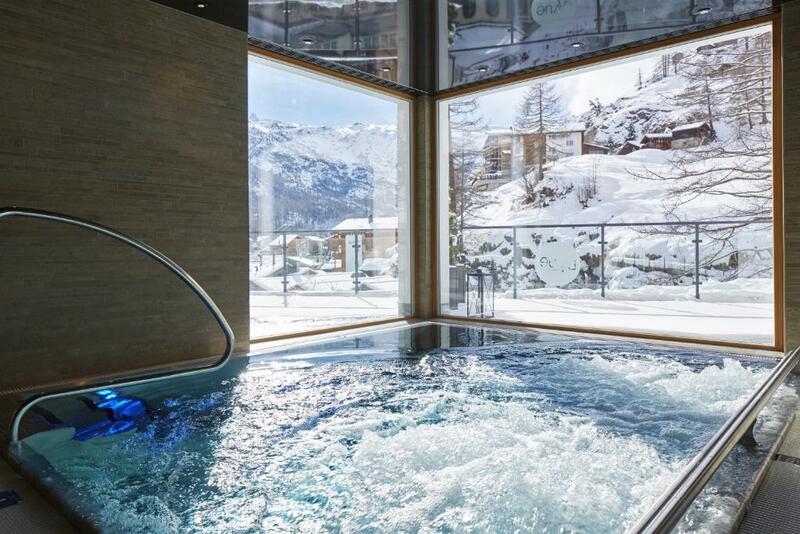 Offering 360-degree views of Zermatt and the surrounding Alpine panorama, La Vue Luxury Living Apartment is located in a quiet part of the village and provides a free spa area featuring a large hot tub, a steam bath and a Finnish sauna. Massages are available on request and for an extra charge. Each day, a breakfast is served in the privacy of the modern, Alpine-style apartments. 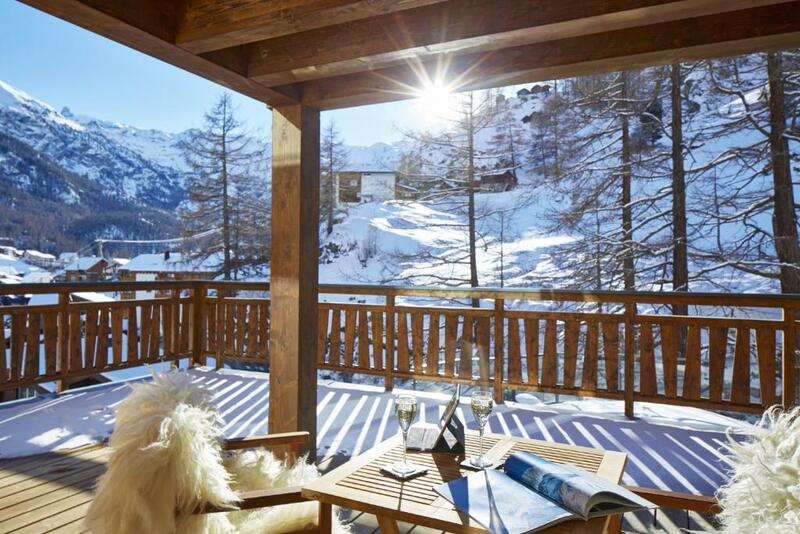 The property is 550 yards from the Matterhorn Glacier Paradise and the main square is also only a few steps away. Each apartment comes with high-quality furniture, a balcony, and a large living area with electronic devices like an Apple TV, a Blu-ray player and an iPad. The apartments all have at least 2 bedrooms with an en-suite bathroom, a hairdryer and a fully equipped kitchen with a dishwasher. Some come with amenities like a fireplace and an additional terrace. Free WiFi is available throughout the apartment house. La Vue Luxury Living Apartments are cleaned on a daily basis and a private chef is available to prepare dinner in the apartments. Grocery deliveries and special diet menus can be requested on site. A shared lounge with Hi-Fi system and a video beamer is provided and there is a large garden with a sun terrace featured. 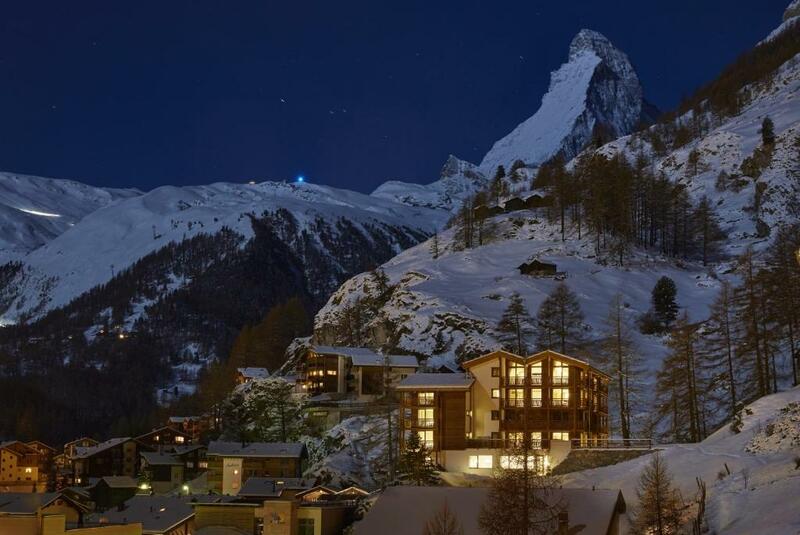 This is our guests' favourite part of Zermatt, according to independent reviews. This property also has one of the best-rated locations in Zermatt! Guests are happier about it compared to other properties in the area. La Vue Luxury Living Apartments has been welcoming Booking.com guests since 26 Jul 2014. When would you like to stay at La Vue Luxury Living Apartments? 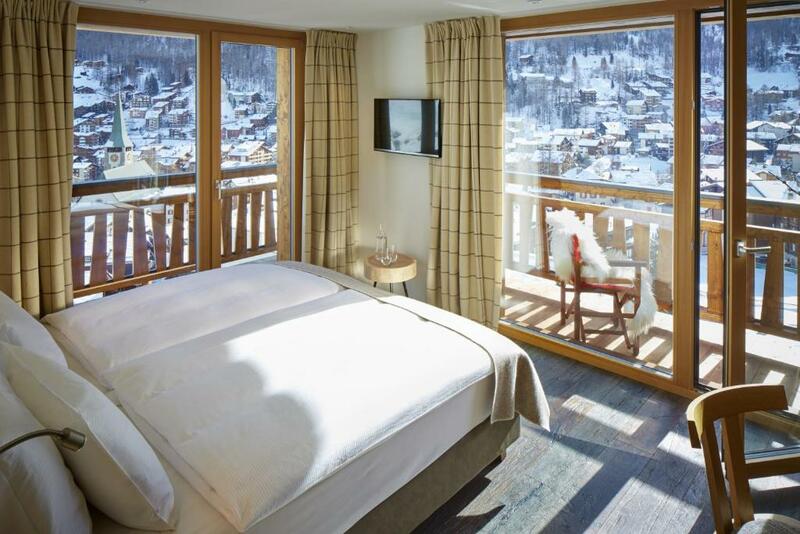 Spacious apartment featuring 3 en-suite bedrooms with impressive views of Zermatt and the surrounding Alpine landscape. This apartment features a balcony, oven and private entrance. This apartment features a balcony, dishwasher and electric kettle. 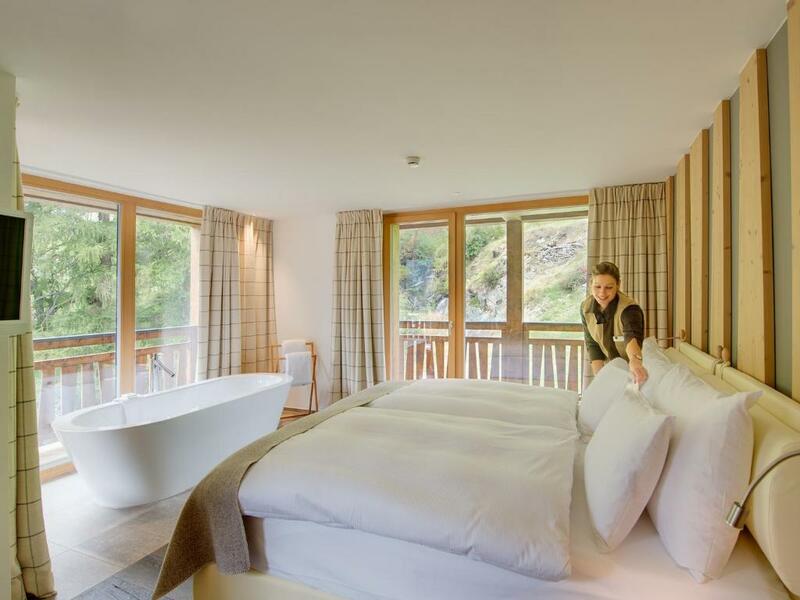 Das Chalet LaVue thront auf einem Felssporn über Zermatt. 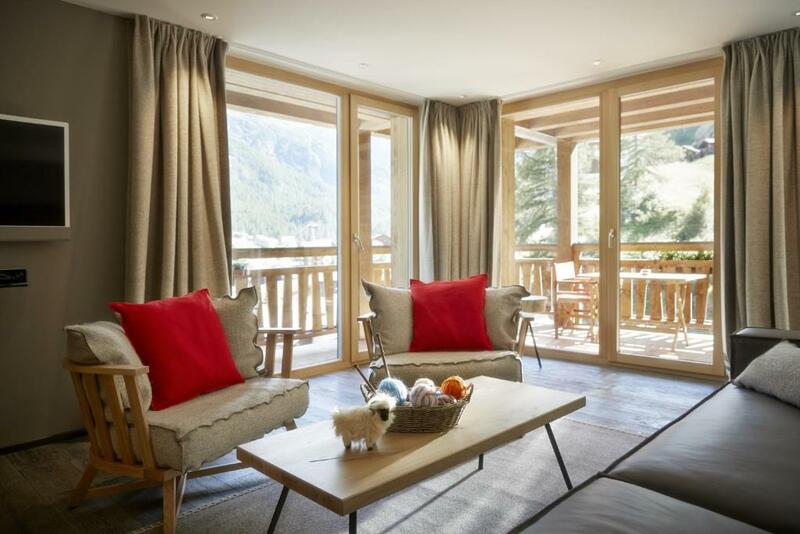 Mit sechs luxuriösen Ferien-Apartments bietet es Ihnen zu jeder Jahreszeit exklusiven Hotel-Service, Komfort und Privatsphäre an bester Lage in Zermatt. House rules La Vue Luxury Living Apartments takes special requests - add in the next step! La Vue Luxury Living Apartments accepts these cards and reserves the right to temporarily hold an amount prior to arrival. Daily cleaning and access to the property´s wellness area are included in the room rate. 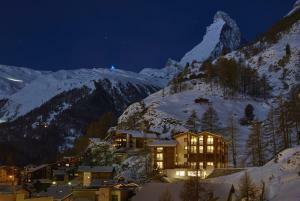 We have been in other very good hotels in Zermatt but in La Vue we felt like in our dreamed alpine home. It was that comfortable that some says you just want to spend the day at home by the chimney. I have no words to describe the views from any of the rooms of the apartment. You have much more space and privacy that in a hotel and service is just as in a 5 star hotel. All the staff was very resolutive and helpful to our requirements. They served us a wonderful and big breakfast every morning. Some days for dinner we ordered food from a menu and the dinner was served in our apartment. The food was good and for us was very convenient with little children after having spent the whole day skiing they were tired to go for a restaurant. The spa has also very nice views and the water is at perfect temperature. We are just waiting forward our next visit to la Vue. Remember to bring converter - there’s no direct USB charger for phones. Everything was perfect !!!! From the breakfast to the room, the hosts and the place ! We had an upgrade and stayed there a few days more than expected. Thanks to the hosts and the staff !!! It was very cosy apartment, everything was great! 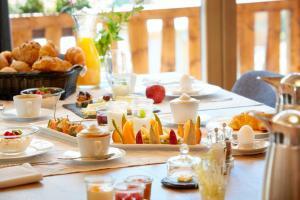 Superb spread of breakfast and wonderful service!